What's in a Name? SquareTwo Poll Survey Results on the Naming of Women's Positions and Organization in the LDS Church, SquareTwo Journal, Summer 2016. A Book of Mormons: Latter-day Saints on a Modern-Day Zion (I Speak for Myself series).December 1, 2015. Essay contributor. "LDS Church releases new essays about women and the priesthood and Heavenly Mother," Deseret News, October 23rd, 2015. "New Change Allows Young Moms, Divorced Members to Teach Mormon Seminary," Salt Lake Tribune, November 14, 2014. The Cultural Hall book review. September 29, 2014. Mormon Matters podcast. September 23, 2014. This Week in Mormons podcast. This Week in Mormons book review. September 19, 2014. Approaching Justice book review. September 21, 2014. Exponent II Q&A, September 15, 2014. A Proper Wife book review. September 11, 2014. Deseret News' Mormon Times book review. September 11, 2014. Feminist Mormon Housewives book review. September 9, 2014. FairMormon book review. September 8, 2014. Daughters of the Utah Pioneers Museum panel discussion video. September 7, 2014. Young Mormon Feminists podcast. September 4, 2014. Benchmark Books talk and Q&A video. September 3, 2014. FairMormon podcast. August 28, 2014. Zion's Book Panel Discussion video. August 28, 2014. The Cultural Hall podcast. August 29, 2014. "Giving a Voice to Mormon Women," The BYU Daily Universe. August 22, 2014. Aspiring Mormon Women: Career Day with Neylan McBaine. August 25, 2014. Exponent II book review. August 29, 2014. "Book Review: Women at Church," by Valerie Hudson, Square Two, Summer 2014. "The New Debate: What (Mormon) Women Want," Salt Lake Tribune, June 21, 2014. "Trib Talk: Mormon Women and the Priesthood." Salt Lake Tribune, March 21, 2014. "Oradin Women Concluding Dialogue." Mormon Stories Podcast, December 2, 2013. "Alternative Feminist Approaches to Ordain Women." Mormon Stories Podcast, October 16, 2013. "I Played A Missionary At Pathways." Patheos.com, December 9, 2013. "A Moderate Mormon's Manifesto." FeministMormonHousewives.org, October 1, 2013. "Mormon feminism about more than ordination." By Amy McDonald, The Daily Universe, September 30, 2013. "Be Not Moved." A Thoughtful Faith, May 7, 2013. "Mormon Women and the Priesthood." Radio West KUER, April 11, 2013. "Bold Expressions of Faith." Patheos.com, December 2, 2012. 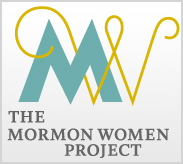 "The Mormon Women Project and Creating Gendered Participation." A Thoughtful Faith Podcast, December 1, 2012. "To Do the Business of the Church: A Cooperative Paradigm for Examining Gendered Participation Within Church Organizational Structure." FairMormon Conference, August 4, 2012. "Confident and Proactive." Patheos.com, December 1, 2010. "Here's a Secret: Nobody's Normal." Patheos.com, October 25, 2010. "What Really Happens When We Die." Patheos.com, September 20, 2010. "The Future of Mormon Motherhood," The Washington Post, August 9, 2010. "Dear Facebook Friends: I'm Sorry." Patheos.com, March 22, 2010. "God in 100 Words." Patheos.com, March 17, 2010. "What To Wear." Patheos.com, March 12, 2010. "Quiche, Haiti and Suffering." Patheos.com, March 1, 2010. "Gospel Doctrine Boredom." Patheos.com, February 18, 2010. "Mormon Women: Portraits and Conversations." 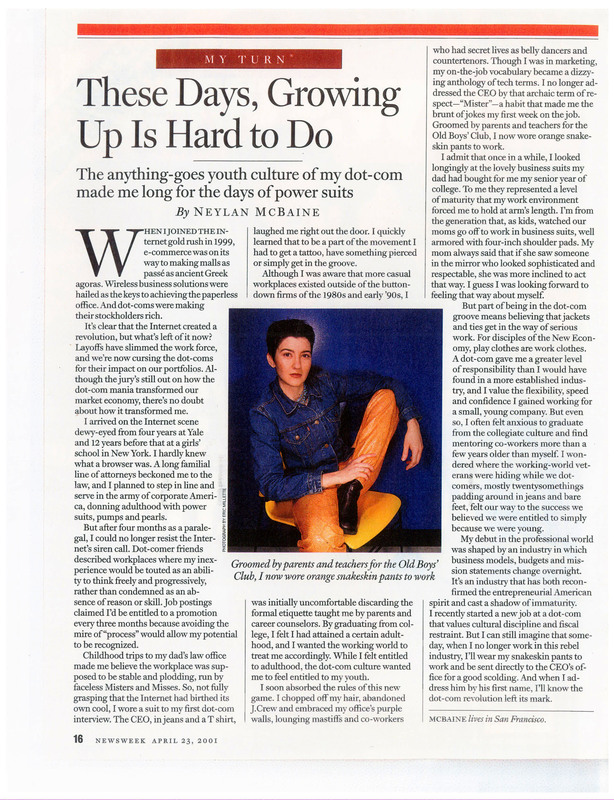 Meridian Magazine, April 2009.